How windy is too windy? 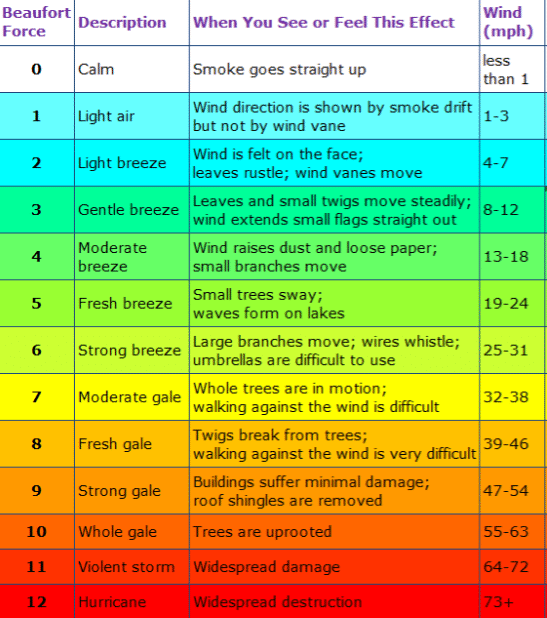 If you look at the Beaufort scale, we see the levels of danger that wind can create. After a couple of weeks of wind it was time to find a reliable forecast. After some testing, we found this to be the best. The weather station is located at Glos Airport and shows the next few days so you can plan ahead - let this be your reference (bookmark the page). So the above chart shows wind speed (often a lot less than gusts) and potential gusts. These are the values that are important as FS Lead. This chart shows the Beaufort Scale, importantly letting us know what to expect visually. We always go with gusts of 34mph as a decision maker. That doesn't mean that Forest School wont take place, merely that we will move things into an open space (i.e. 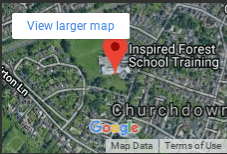 the school field. ).